When a teen gets a driver’s license, he or she may become popular with others who cannot yet drive. A large number of passengers increases the risk for distraction and can put your teen in danger. If you notice a full load in the car when your teen drives, impose a firm rule of only two or three passengers. Otherwise, the chatting and horseplay may lead to an accident. Most teens are glued to their cellphones and seem anxious about missing even one text. They may not even be aware that cellphone use while driving is against the law. However, the Centers for Disease Control and Prevention found that distracted driving was the cause of over 3,300 deaths in 2012. Parents should require their teens to put cellphones in the glove compartment while they drive, to avoid distracted driving that can be deadly. If the teen uses the phone while driving, parents should withhold driving privileges until the child can comply with the rule on a consistent basis. Any indication that a teen is engaged in alcohol or drug use should be cause for removing driving privileges. Driving while under the influence of mind-altering substances cause thousands of deaths each year. 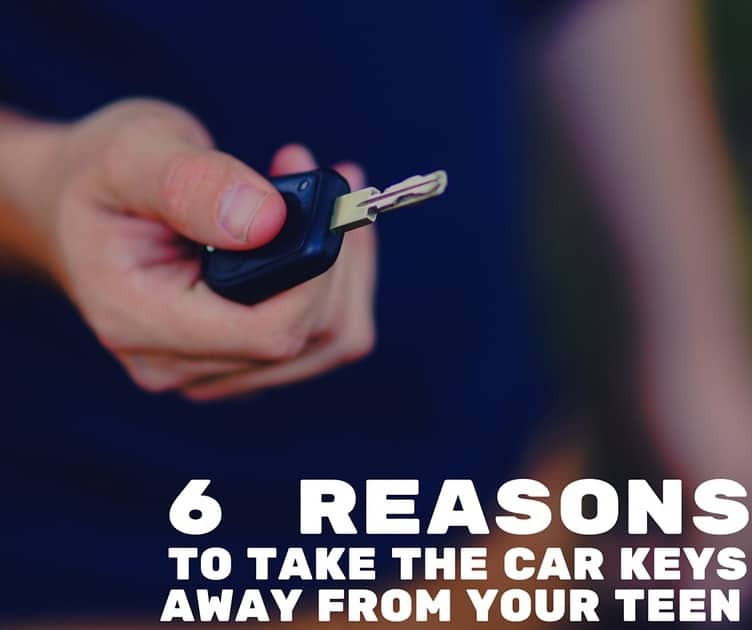 If you notice the smell of alcohol on your teen, or if he or she seems drowsy, confused, hyperactive, or unusually aggressive, take the keys away immediately. Your child may need counseling or treatment for a substance abuse problem. Seatbelt use is the law, and it can save lives. However, teens are often distracted and rushing from one activity to another, and they often forget to use this important piece of equipment. Emphasize seatbelt use from the beginning of driver training, and continue to remind the teen to buckle up. Monitor your teen’s compliance, and if he or she does not comply, consider withholding driving privileges for a period of time. Teens often have rugged schedules with school, work hours, and social activities that can last late into the night. Excessive fatigue can cause poor concentration and decision making, so parents should monitor their teens carefully to determine if they are alert and rested enough to get behind the wheel. If you notice small dings and paint scrapes on the car after the teen has been driving, it’s time to have a serious talk about safe driving and responsible behavior. Not only has the teen engaged in poor driving habits, evading the responsibility show a lack of maturity that can mean he or she is not ready to take on the important task of driving a powerful vehicle. A serious talk and possible revocation of driving privileges may be necessary to make your point. Driving is both a great privilege and an enormous responsibility. Parents can help teens give it the importance it needs by ensuring that their driving habits protect them and others on the road. Gain peace of mind with our nationwide 3G car tracking coverage that updates every minute. Tracking service is only $19.99/month with no contracts or cancellation fees. Use GPS tracking to review driving routes, set geofences around key locations (school, home, or friend’s house) and know when the vehicle is in use after curfew.